Need a Plumber in Bristol? Burst pipe? Overflowing toilet? Water coming through the ceiling? Don’t panic. Plumbing Bristol’s 24/7 emergency plumbing service has a helpful technician waiting to assist you 365 days of the year. Whether you’re looking for a new bathroom, modifications to your water system or just have a dripping tap, we offer a variety of plumbing services. Get in touch today and let us help you put it right. We’re also experts in tiling, plastering, building wet rooms and shower enclosures, supporting building works and more. 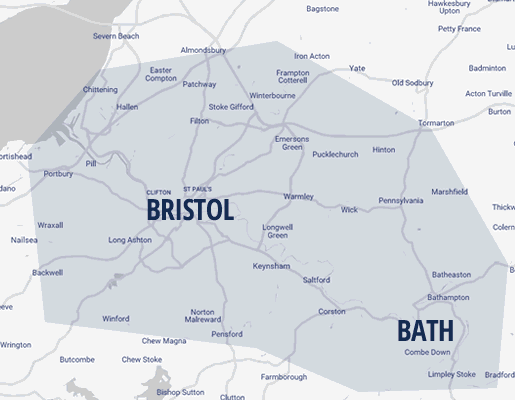 Please get in touch with Plumbing Bristol to find out how we can help you. They sorted my boiler out very quickly when it froze up in the bad weather during March. Friendly, helpful and reasonably priced too. For a FREE, friendly, no obligation quote for scheduled plumbing works in the Bristol and Bath area, please fill out the form below and we will be in touch shortly. For any EMERGENCY PLUMBING like burst pipes or blocked drains, you should call 07733 192400 immediately.